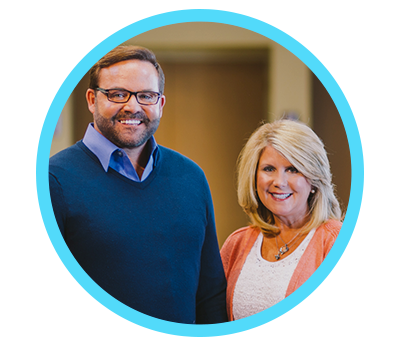 Pastors John & Lisa Carter are dedicated to helping people discover their highest potential. Pastor John Carter is known for his engaging and practical teaching style, he is the Founder and Senior Pastor of Abundant Life Christian Center. He also ministers internationally, speaking at church and leadership conferences throughout India, Africa, Eastern Europe, and North America. Pastor John has studied at Central Bible College in Springfield, Missouri, is a graduate of Rhema Bible Training Center. Currently, Pastor John is working on a Master’s Degree in Biblical Studies from Alliance Theological Seminary at Nyack College. He is the author of The Transformed Life. Pastor Lisa Carter is the Co-Founder and Senior Pastor of Abundant Life Christian Center. Besides her ongoing role as Board member and duties as Co-Pastor, Lisa has served in a variety of functions throughout the years, including: Financial Operations, Media Ministry Development, Retail Services Development, Creative Arts Manager, Chief Facility Designer, Facilities Management, and is a member of the Executive Team. At this time, Pastor Lisa oversees Creative and Quality Management for the ministry. She is the Founder and President of REACH International Children’s Center in Bungoma, Kenya. Pastor Lisa studied at the University of Iowa and Central Bible College in Springfield, Missouri. Pastors John & Lisa are the founders of Mercy Works, a faith-based non-profit that is dedicated to meeting practical needs among urban teens in Syracuse, New York.Through Vision based living, Mercy Works also raised and strategically invests funds into projects that creatively meets practical needs in distressed communities in Central New York. Together they serve as the primary visionaries and overseers of Abundant Life. Pastors John and Lisa are honored to lead a wonderful senior management team who assists in creating, developing, and implementing the overall vision of the ministry.